Paul Smith is one of my favorite comic book artists. His style is so beautifully simple, deceptively simple, elegant, yet he captures the essence of whatever character he works on. I posted a Doc Strange piece today on Giant-Size Marvel, here are a few more cool commissions from Malcolm Bourne’s gallery. Paul Smith’s take on the Watchmen is dead-on perfect. I never thought I would want to see anyone but Gibbons draw these characters. Smitty gets it right and puts them all together in a group against an unknown enemy. Even though they never did this in the book, it’s still very cool. 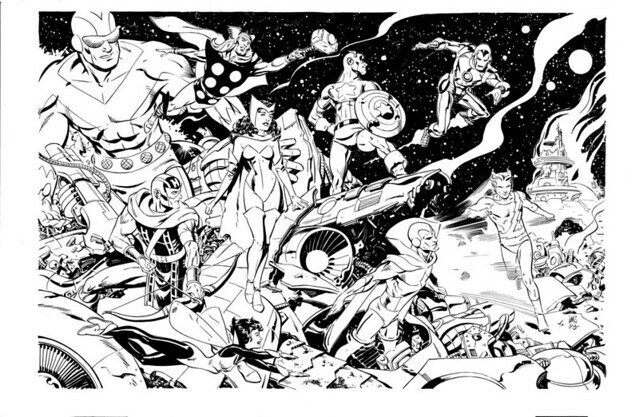 The classic Avengers are back in this commission, standing on the wreckage of what looks like a Quinjet. Someone at Marvel should have made Smitty do an Avengers mini-series with the classic team. 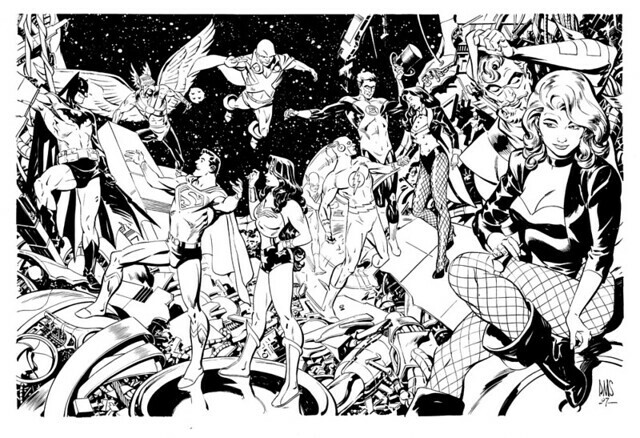 This Justice League of America illustration shares a theme with the Avengers. They are standing among the wreckage of? The satellite? The Watchtower? Doesn’t matter, they all look pretty happy and are having a social gathering. Smitty takes particular delight in putting Black Canary up close on the right, while Green Arrow practically drools over her. Want a Smitty commission yourself? Check out Mighty Nib’s site below. Nuff Said! 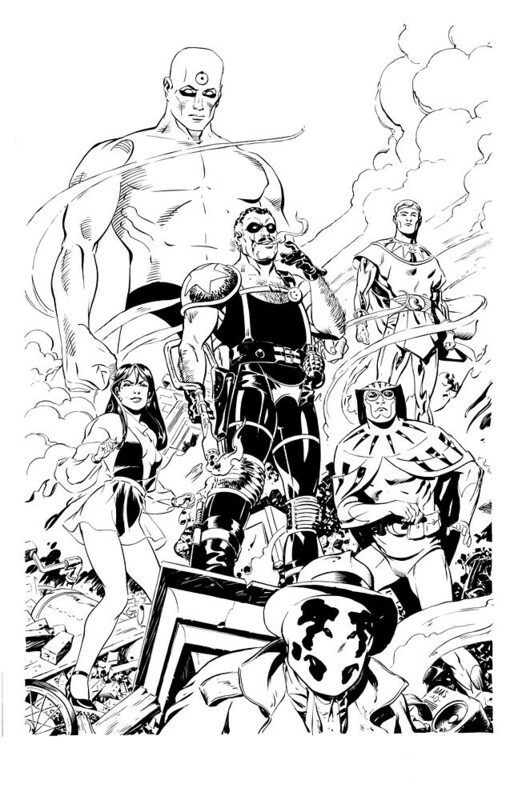 Link: Malcolm Bourne’s Gallery at ComicArtFans.